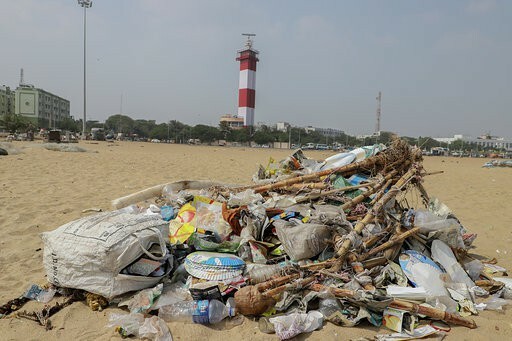 Plastic waste forms major part of the garbage dumped on Marina beach. 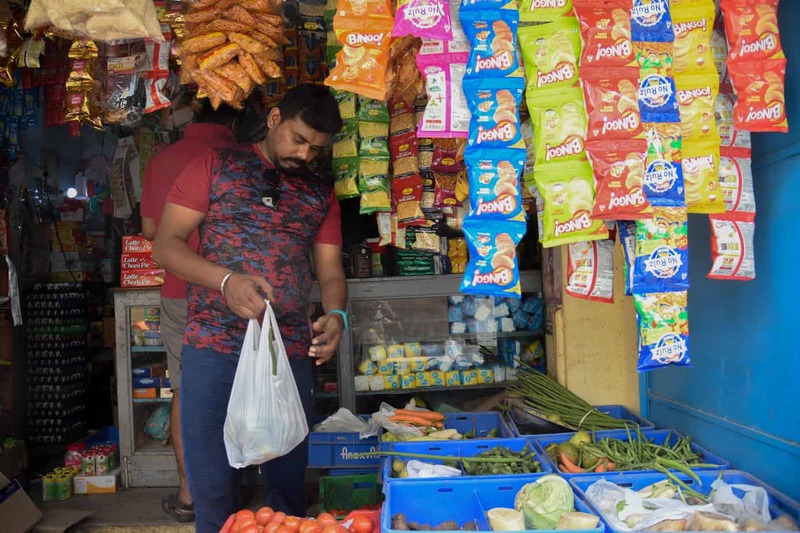 The plastic ban that has been in the news since its implementation on January 1, is now losing steam in Tamil Nadu. Retailers and vendors across the city have been using plastic secretly, in fear of losing regular customers. 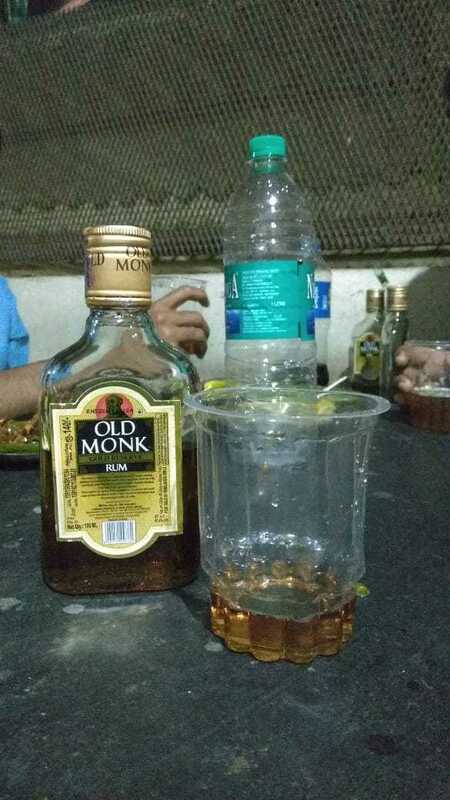 Several bars maintained by the state government (TASMAC) are openly allowing plastic. “If I don’t give out a plastic cover, customers don’t buy flowers. 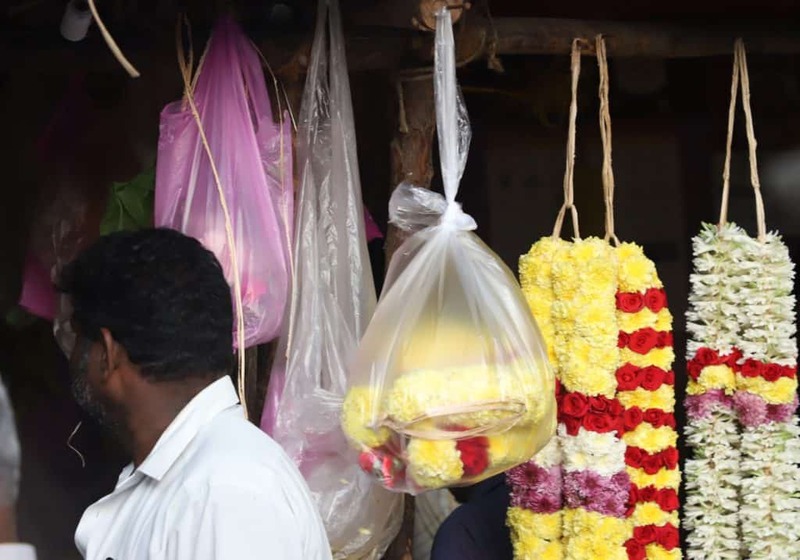 Who would spend Rs 3 on a cloth bag for wrapping up flowers worth Rs 10 or Rs 15?” asks Vanavani, a flower vendor at Mambalam market. There is little awareness about the ban in rural parts of Tamil Nadu as well. 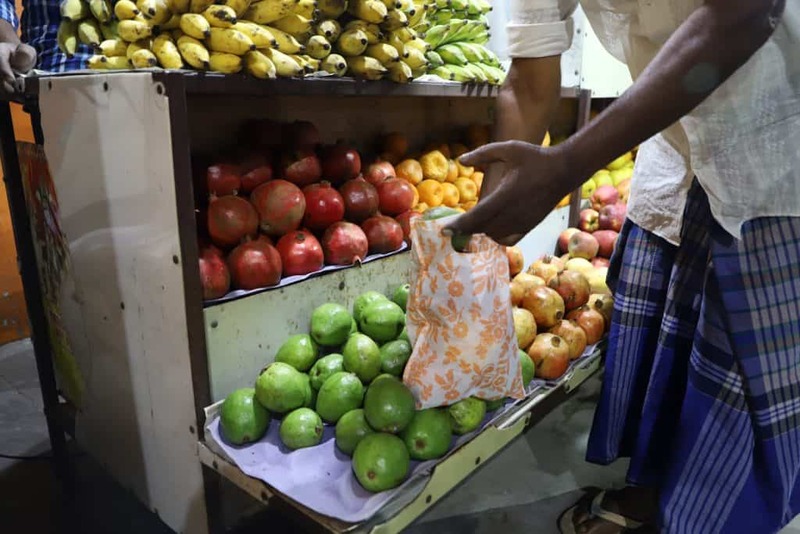 Rasika Ramesh, an environmentalist and programme catalyst of the Reciprocity Foundation said that the people in small towns and villages are still using plastic generously. 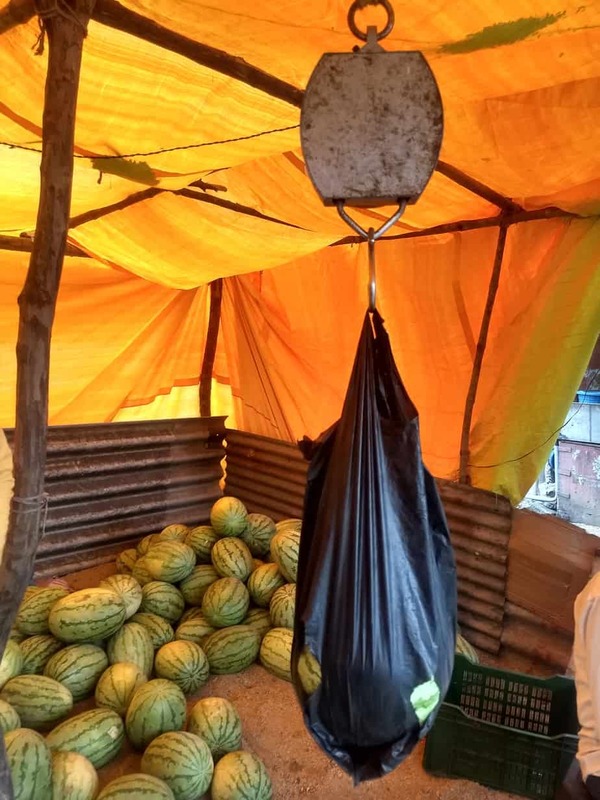 “People are using single use plastic for their personal consumption in and around smaller towns and villages near Villupuram, even in the fields. They feel the ban is only for cities. 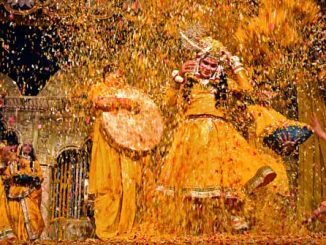 It is this notion that needs to change,” Rasika Ramesh said. Plastic usage is rampant in the beauty industry. “The industry thrives on single use plastic and polypropylene bags for various uses. Single use wax dispensers and wash clothes are being used in many reputed salons,” said Rasika. Here are a few pictures captured from the city that shows that we are far, far away from a plastic-free reality. 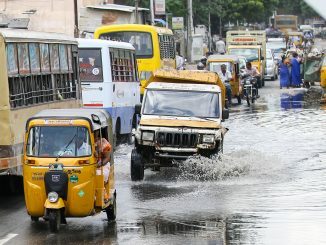 Illegal plastic usage is not only confined to the localities mentioned in the pictures, but is seen widely throughout Chennai. 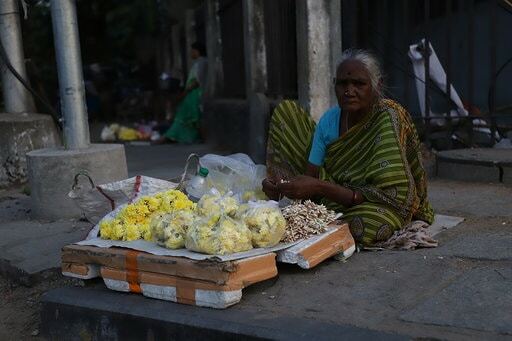 A vendor uses plastic covers to pack the flowers in Guindy. This is spotted across Chennai neighbourhoods. 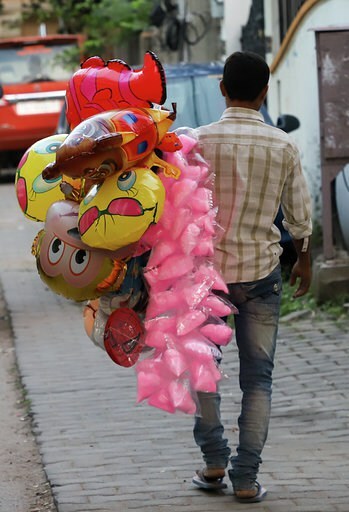 A cotton candy vendor has packed the sweet in banned single use plastic covers at Anna Nagar; it is anyone’s guess where this will end up once the sweets are bought and consumed! A dustbin in Neelankarai is filled with plastic of all types. The sight is testimony to the poor implementation of the plastic ban in Chennai. Flower bouquets are wrapped in thin, single use plastics in Egmore. 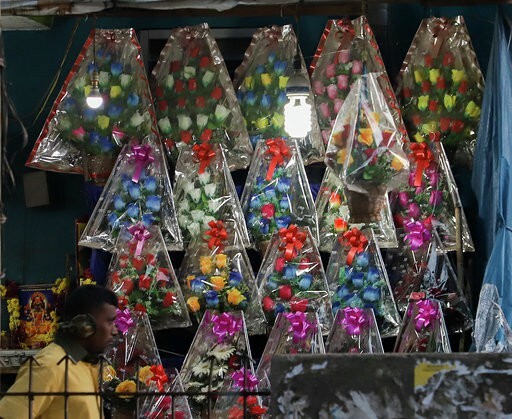 Flowers are wrapped in plastic covers at a local shop in Thiruverkadu. Point to ponder: Should we be happy that this customer at a fruit shop in Madambakkam brought his own bag or sad that it is still plastic? 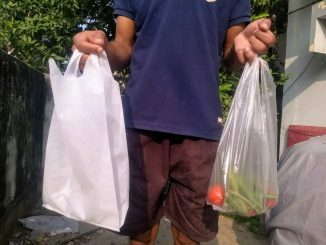 Shopkeepers across the city have accumulated plastic packets that they give for trusted customers, always adding, “This is the last time. Please bring a bag from the next.” It’s really time for customers to be more responsible. It is to cheat public and grab money from the traders and plastic manufacturers.You can see every where plastic are used without any fear and government agencies also act as silent spectators. 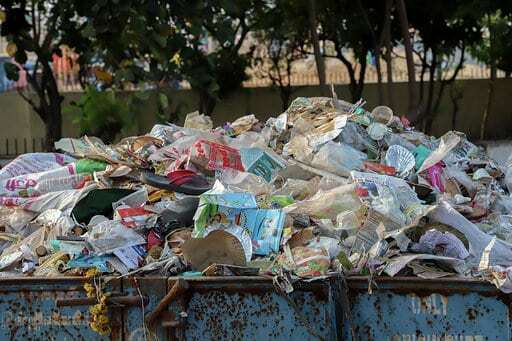 It is another humbug like ” swatch barath ” announced by our country prime minister during 2014, now every place in Chennai and its suburbs filled with plastic waste with out any care. Ban should be enforce for all the products except for milk. It is once again an announcement of law without an enforcement. We can quote many. A few for your quick reference smoking in public place; using mobile while driving; putting hoardings on lamp posts; number plates of vehicles; gutka and other chewing tobacco products; autorickshaw meter tarrif……. Plastics are the worst of the human inventions. Contrary to the propaganda that plastics are recyclable, they can only be down cycled in stages ending up as single use plastic. The last refuge is burning for the energy value but it also creates serious problems. The only solution to plastics problem is to ban the production of monomer resins from which plastics are made because once polymers are made they are going to stay around for a long time. But there will be a upheaval against this solution but humanity can survive and live happily without plastics.